And so it was that a centuries-old folk song about a race horse launched a rock ‘n’ roll Christmas standard 40 years ago this month. 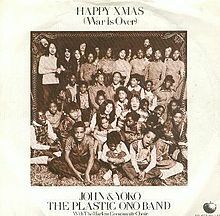 “Happy Xmas (War Is Over)”, in part inspired by “Stewball”, was recorded by John and Yoko, the Plastic Ono Band, the Harlem Children’s Choir and produced by Phil Spector in December of 1971, though it didn’t hit the charts until the following Christmas. Sung seasonally ever since, this year as ever, the song serves as a reminder that war—its horrors and its costs—are still very much with us. As for “Stewball”, I don’t know much about race horses, but I’ll do my best to impart the origins of the song. The first song about him was written in the late 1700s. At that time, Stewball went by the name Skewball, though you might also see versions that tell of Sku-ball and Squball, likely because his coat was of the skewbald variety, or what we call “pinto,” a horse with patches of color, usually on a chestnut or reddish base. According to folk music lore and some reliable sources, Arthur Marvell’s Sku-Ball was set to race Sir Ralph Gore’s gray mare Miss Portly in Kildare, Ireland. But when the dark horse, or more accurately, the skewbald horse won, it took the horsey people by surprise: They had expected the animal with the pedigree to take home the prize. Newsworthy as this was, the story made the broadsides: Printed on cheap paper and passed around, a popular ballad was born, beginning its journey through time and around the world. Lyrically, there are plenty of variations on the “Skewball” story: For example, “Molly and Tenbrooks” is an American telling of a late 19th century horse race between California’s Mollie McCarty and Kentucky’s Ten Broeck. 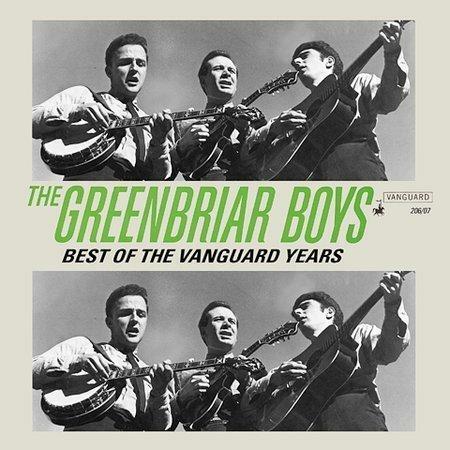 Versions of “Molly and Tenbrooks” were cut by bluegrass giants, the Stanley Brothers and Bill Monroe, but theirs are a different melody, though related by subject and genre to “Stewball” by kissin’ cousins the Greenbriar Boys. There lay the origin of the melody Joan Baez recorded. Her version is also somewhat of a conflation of the stories told in “Stewball” (who in some cases is a wine-drinking, winning race horse), and “Molly and Tenbrooks” (in which the mare stumbles and thus explains Stew’s win). Comparing, compiling, and commenting on centuries-old ballads is a vocation to which I am not called; the work is best left to experts like Steve Roud of Croydon, London—he’s compiled the Roud Folk Song Index, listing 33 versions of Stewball and 22 versions of Skewball with data to match. He’s got the info on the John Lomax recordings of inmates of Parchman Farm singing their version in the ’30s, as well as Lead Belly’s ’40s adaptation (which begins “Way out in California…”), but again, different melody, different words, though the horse legend remains inasmuch as the “Stewball” recorded by Lead Belly, Woody Guthrie, and Cisco Houston concerns a race between a California and a Texas horse. The version many of us know as “Stewball” entered the folk-rock zone in the ’60s, delivered by Joan Baez and Peter, Paul and Mary via the Greenbriars song, credited to John Herald, Ralph Rinzler, and Robert Yellin. 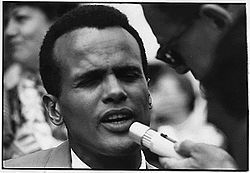 For rock’n’roll folk, there could hardly be worse news than the prospect of yet another rousing verse of the song about a race horse by these buttoned-up icons of civil rights and traditional song. But by 1966, the Hollies came up with a folk-rock take on it, adding some zing with their multi-layered harmony style. Which is where we depart from the green fields of Ireland and the pastures of the Southwest and the story of Stewball moves to New York City in 1971, where John Lennon and Yoko Ono borrowed the melody and came up with their Christmas song, concerning peace on earth and life during wartime. “‘Happy Christmas’ Yoko and I wrote together. It says, ‘War is over if you want it.’ It was still that same message—the idea that we’re just as responsible as the man who pushes the button. As long as people imagine that, somebody’s doing it to them and they have no control, then they have no control,” Lennon said in his final major interview. Lennon and Ono had used the “War Is Over! 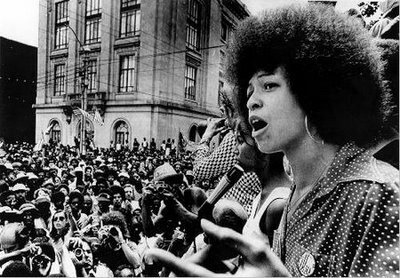 (If You Want It)” slogan in their billboard campaign of 1969, based on the idea that peace must be sold to the people just as aggressively as consumer goods and war is promoted. John and Yoko and the Plastic Ono Band (whose star players for the purpose of this session were Jim Keltner, Nicky Hopkins, and Hugh McCracken) and the Harlem Children’s Choir (“War is over if you want it”) recorded the song in October at the Record Plant, assisted by producer Spector. It was released in the US on December 6th and held ’til the following November of 1972 for release in the UK. Spector’s influence is clearly a presence on the track: In addition to inspiration plucked from the Greenbriars’ version, as rendered by PPM and Baez, you can hear the injection of his claustrophobic effects, as heard on the Paris Sisters’ “I Love How You Love Me” and “To Know Him Is to Love Him”, as well as the influence of another song from Lennon’s past: “Pledging My Love” by Johnny Ace. “Happy Xmas” bears traces of all those melodies, with notes of their somberness. Opening with a whisper to their children from whom they were estranged at the time (“Happy Christmas Kyoko, Happy Christmas Julian”), the lyrics open with a pointed question (“And so this is Christmas, and what have you done?”), with wishes for a better world to follow. By the final uplift, all is forgiven. There are plenty of covers of “Happy Xmas (War Is Over)”, none of them mentionable, and some of them unmentionable (Billy Bob Thornton), though Lennon’s imaginative use of the “Stewball” melody has insured that not only the old race horse is remembered at least once a year, but that we remember each other, with love and thanks, forgiveness and faith. A very Merry Christmas and a Happy New Year. Let’s hope it’s a good one, without any fear. Anyone who’s read Keep on Pushing, this blog, my recent columns, or if you’ve read or heard any of the Keep on Pushing interviews, you know that in addition to collecting the origins of anti-oppression songs, traditional protest songs and contemporary topical songs of peace, justice and non-violent resistance, I’ve been in search of a new freedom anthem that concerns the survival of all the people–throughout the world. In a recent column (my Crawdaddy! column, Origin of Song has been appearing once a month on the Crawdaddy! blog at Paste Magazine), I suggested that “We Shall Overcome” the anthem that was, could serve as the anthem that is, and always shall be. But I changed my mind: “Ce N’est Pas Bon” by Mali’s Mariam and Amadou, is clear in its vision and intent, and you barely even have to know French to understand it. Hypocrisy, demagogy, and dictatorships are not good—nous n’en voulons pas. “Du respect pour le peuple, de l’amour pour le peuple, de la paix pour le peuple.” ” Ce N’est Pas Bon” is from Mariam and Amadou’s 2009 Nonesuch album, Welcome to Mali (which I was happy to discover was released on vinyl): C’est magnifique.